So here I sit, eating the last of the vegan chocolate cake (man, it was good), full as a tick after a phenomenally good veggie burger from BGR The Burger Joint. Their veggie burger is sooo delicious – black beans, oats, rice, molasses, with a smokey BBQ flavour, slathered in mojo sauce, roasted onions, fresh ripe tomatoes, lettuce, on a toasted brioche bun. Their fries are amongst the best I have ever had – I cant decide between the Yukon Golds or the sweet potato fries. And dont even get me started on the vanilla bean shake … pure sin. Creamy, flecked with vanilla bean, so thick it takes effort to get the good stuff. Full I am, full full full. So obviously, I didnt do a lot of cooking today! I just ate, and ate very well. And that got me started thinking about some more of my cooking obsessions. I have written before about some of the things that I cannot do without, and I have remembered several other bits and pieces which I really adore. These are the things I take for granted in my kitchen, but which I could not do without. They make my daily life as a cook so much better. I never think about it because its always there, but my GelPro Chef’s Mat is something I absolutely could not do without. This piece of kitchen equipment is used every day, and here in the US where I dont have one, I feel the difference. This mat is used in the most heavily trafficked areas of the kitchen – where I stand and chop vegetables, in front of the stove when I am cooking for ages. Its a very simple concept – a thick mat, filled with gel, that completely alleviates any fatigue associated with standing and cooking for long periods of time. 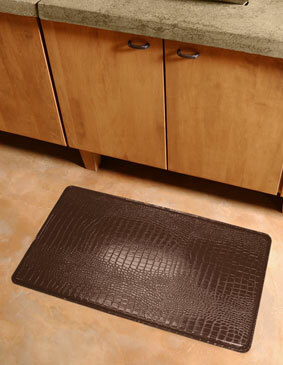 This mat is so comfortable, easy to clean (simply wipe off any spills or stickies) and if anything sharp (like a knife) drops, then its cushioned and wont chop or cut floor or feet. I love my mat. Its meant to stop foot, lower back and arthritic pain when cooking or standing for long periods of time. Its truly amazing. Its quite expensive, and for a long time, I really wondered if it was worth it to get one. But I did because I am sucker for new and interesting things, and I have never regretted it. Its quite beautiful in its simplicity, but its very well made, with anti microbial additives, so it never gets moldy even if its left without being cleaned for a while. If I had to give a cook a present that they would not give themselves, this is what I would get them. I cannot tell you how fantastic cooking on this surface is – pure absolute pleasure. It makes standing over a hot stove for hours on end, or chopping a mountain of vegetables over the sink, totally easy. And it does it without me even remembering its there! When I cook, I often print out a recipe I have already written, and I need a place to put it so I can refer back to it as I mix and chop and saute and bake. Magnet clips, which are attached to my fridge, do the trick. I love the Endo Magnet Clip because it can hold up to 20 pages of writing. I usually have a pencil handy too so that I can notate and adjust recipes as I cook them. These clips are used constantly in my house. Not only do they hold recipes, but I clip my shopping lists to them, important notes to my housekeeper, emergency contact numbers, calendars. Again, this is something that I never really thought about, but which makes my kitchen more efficient, and helps me do the work I need to do. I wouldnt be without them. And may be even more than I love the magnet clips, I love love love these magnet hooks that cover a whole lot of space on my fridge. As I have written in an earlier post, my kitchen is teeny tiny. I need to be able to access stuff quickly, but I also need to be able to store it nicely too! I like having things to hand … and because its my kitchen, and I know my own patterns and rhythms, I know that certain things, I want to be able to grab without opening a drawer or looking around for it. 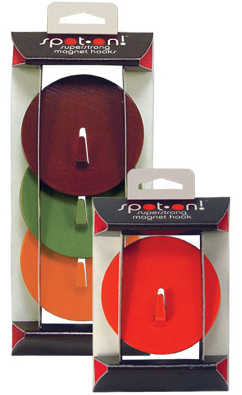 These gorgeous magnetic hooks from ThreeByThree are wonderful. I use them to hang my oven mitts, my cooking aprons, dish towels, certain utensils, and for the big huge strong ones, even a fry pan or two. Seriously. They are amazing. They come in great colours, and are really strong. Useful beyond measure. I have many, many pots and pans. I have different ones for different things, and of course, I love to collect them. 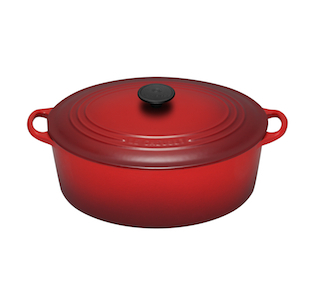 I have a few copper pans that I have saved up slowly to purchase, but I have to say, my Le Creuset oval French Oven is probably one of my favourites. I found this pan at a Filene’s Basement store in NYC, for USD99, and I carried it home to Malaysia on my lap in the airplane (long ago, when you could bring things like a heavy cast iron pot onto the plane!). Since then, many moons ago, I have used this pot for everything under the sun. You can bake brilliant bread in it, its wonderful for soups and stews, South African potjiekos, gratins and any manner of pasta. I have used it to bake a cake, and a tart when I didnt have the proper cake pans. Because it goes from stove top to oven with effortless ease, its the perfect multidimensional cooking vessel. 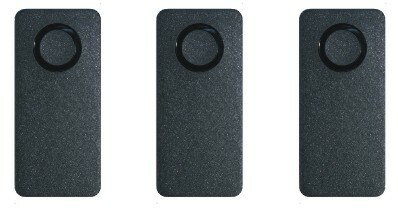 Because its made of cast iron, the way it conducts heat is brilliant – even and strong, with no burning spots. I love this pot, and if I had to choose just one, I would probably choose this one. But I am very lucky, because I dont have to choose just one! My other favourite pan is my Green Pan. I use it all the time, every day, for just about everything. When I was renovating my kitchen and house, I was very aware of trying to be as ecologically friendly and sensitive as I possibly could. I read that non-stick pans were being reevaluated for their health and safety functions, and so I started doing some research. I invested in several pans – a cast iron pan, which I love, but which is heavy and can be a bit unwieldy. I also bought a Green Pan, and I instantly fell in love. 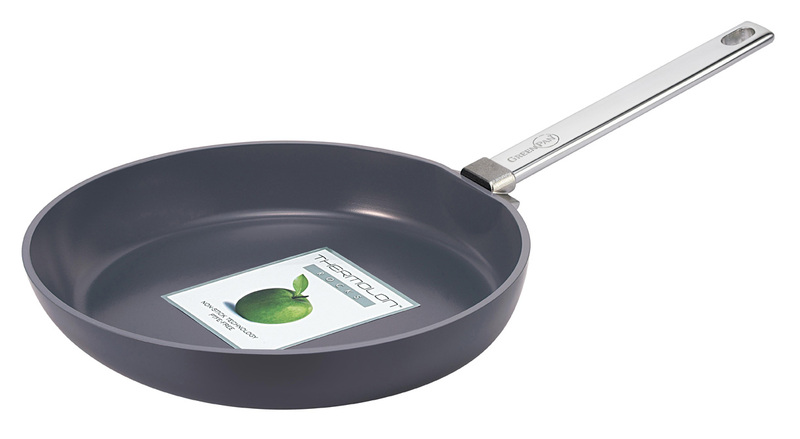 This is a GREAT non-stick pan – easy to use, very light, and yet incredibly functional. My Green Pan is the pan I reach for when sauteeing, frying, grilling cheese sandwiches, making pasta sauces, just about anything. It uses PTFE free Thermalon (dont ask me, I have no idea what it really is) technology which seems to be less scratch resistant and more sturdy than my other non stick pans. I use less oil and butter, and the heat conductivity is superb. Cooking with this pan makes me happy. One of the most annoying things about having an old oven is that temperatures can be so incredibly unreliable. For this reason, I really adore my Oxo Oven thermometer. It hangs on the oven rack and shows me temperature in both Fahrenheit and Celsius. Sometimes when you bake, a few degrees can make a huge difference between burned cookies and cakes or ones that turn out perfectly. 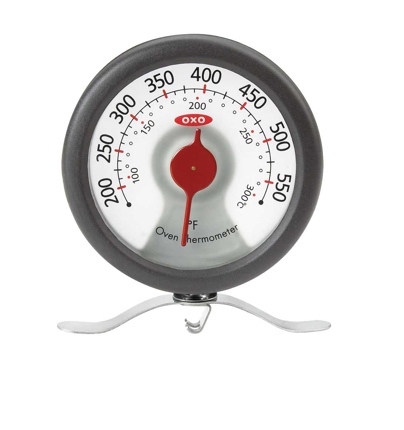 Since I dont have the luxury of (or the money for) professional baking ovens, this oven thermometer which only costs USD15, ensures that I get as close to perfect as possible. I bake so much at home that I could not do without it! I love Oxo for all their kitchen stuff – beautifully designed, well thought out, useful and user friendly. Their salad spinner is the stuff of legend, their knives are sharp, comfortable in the hand and powerful, and their storage containers are awesome. But this simple thermometer is useful beyond words. And finally, an indulgence. I told you that I was totally obsessional about knives. Well, I was perusing a sample sale online, and I found this set of Ken Onion limited edition Shun knives. 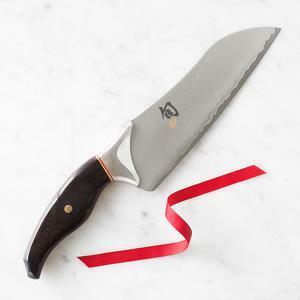 A paring knife, and this 7″ high carbon stainless steel Santoku knife. Look at that handle, imagine how it will fit snugly in the hand. Check out the blade… its so beautiful I could cry. It was so expensive, even on sale, that I almost did cry, but its my gift to myself for this trip. I cant wait to get them, and will write about them as soon as I have used them well enough to know how they feel in the hand… I was just so excited, I had to share them!